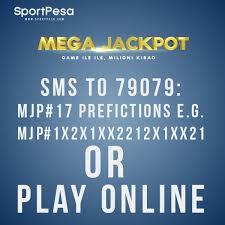 Looking for the Sportpesa Jackpot Predictions this Week? Look no further, we provide the most in-depth Sportpesa Jackpot Analysis to boost your odds of walking away as a winner. When it comes to sports betting, it’s all about statistics, from Head to Head records, to injury news, to current form. This is why we have a dedicated team of analysts working around the clock to ensure that our Sportpesa Jackpot Predictions this Week are backed by hard data. As with any other form of betting, winning isn’t guaranteed but it doesn’t hurt to get into it backed by statistical evidence. First things first, we want to make it clear that we are in no way affiliated with Sportpesa as a company. 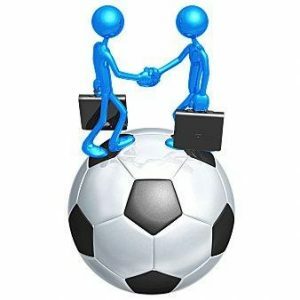 We simply chose them as our preferred betting site or bookie if you like due to the simple fact that they are the largest betting site in the region, with the largest jackpot payouts and the fastest pay outs with no delays. 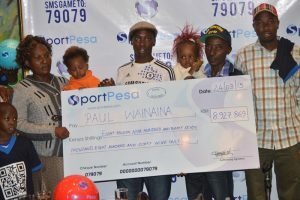 Allow us to take you on a trip down memory lane involving a certain Paul Wainaina, one of the first Sportpesa Jackpot winners in Kenya. You see, when every other football fan was enjoying every single moment of what is arguably the worlds most anticipated club football match – the El Clasico, that pits two European juggernauts namely FC Barcelona & Real Madrid against each other, there was one fan all the way in Huruma who was literally down on his knees praying with such gusto his wife thought he had gone mental. On that night, Paul who had never been to church except for the usual Easter and Christmas masses, where lack of attendance could be construed as an act of defiance to God himself was praying like a man possessed. Sweat was dripping from each and every orifice in his body. He wanted God to come through in a big way as this was his 4th attempt at the Sportpesa Jackpot. The moment of truth came and Wainaina could not hide his joy when it dawned on him that he had just pocketed Kshs 8,900,000. Were the only words he could master at the time. His frantic celebrations were causing a stir deep in Huruma but he could care less, he had just won the Sportpesa Jackpot! “I disappeared into the darkness to look for more airtime. Luckily, I got one for Sh50, which I loaded and immediately called Sportpesa guys. I did not wait to be called. It is me who made the first call, because I really needed the money,” said Paul Wainaina in a later interview. When quizzed on what he planned to do with the huge windfall of cash that had just landed on him, he surprisingly said he had no plans but that he would consult with his better half. This happened back in the year 2015, since then, the winnings have got much more bigger with the most recent one being Ogada who walked away with the Sportpesa Mega Jackpot of Kshs 230Million! We cannot rule out the fact that an element of luck plays a substantial role when making the Sportpesa Jackpot Predictions but the fact remains that research is vital. 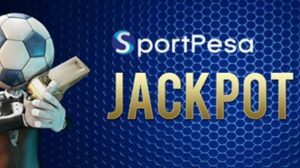 When coming up with our Sportpesa Jackpot Prediction this Week, we closely scrutinized past performances, home & away records dating back several years, news on key players regarding injuries amongst numerous other parameters. Such research provides great insight and although we cannot guarantee 100% results, numbers don’t lie and history always has a way of repeating itself. If after going through our Sportpesa Jackpot Predictions this Week you still feel a bit unconvinced, its ok to go with your instincts every once in a while. You will be surprised by what your gut can do. Gut reactions can be trusted to make a sound decision. According to the National Academy of Sciences, the human brain has the ability to take in several pieces of information at once, process them and decide in an overall value. However, we’d urge that you at least go through our Sportpesa Jackpot Predictions this Week as you’d need a lot of luck to get 17 correct predictions based on your gut feeling alone. We have already crunched the hard numbers for you. All you need is to place your bets, and like Wainaina, pray and sweat profusely. You never know, by this time next week you could be the newest millionaire in town. 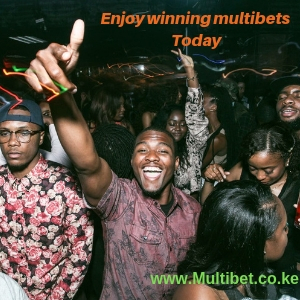 Want to join our family at Multibet Kenya and access our Sportpesa Jackpot Predictions this Week? Click here and be a part of the winner’s circle.